What goes up exponentially, comes down harder and faster. It’s too soon to know if Monday’s near 5% Dow Jones decline, following Friday’s sharp selloff, was the beginning of the end for bull market gains since early 2009. After last week’s selloffs, notably Friday’s 666 DJA drop, Monday’s Dow lost 1,175 points, the largest decline in six-and-a-half years, volatility soaring. Trading volume almost doubled the 30-day average. 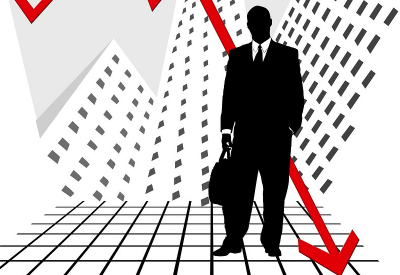 Monday’s drop was relatively minor compared to much greater declines earlier. On October 19, 1987, the DJA shed 22.61% of its value, dropping 508 points to 1,738.74. Variety published its memorable headline: “Wall Street Lays an Egg.” Huge declines followed on October 28 and 29, the beginning of much more to come. Fed policy under her, Ben Bernanke and Alan Greenspan caused hugely overvalued equity prices. The 1990s dot.com bubble burst in March 2000, causing major Dow, S&P 500 and Nasdaq declines. Beginning in late 2007, a financial crisis shocked equity markets until March 2009. Yellen’s complacency was reminiscent of Irving Fisher in 1929, perhaps the most noted economist of his time. He made the call in a climate like today – a period of GDP-reflected economic growth and easy credit, producing speculative excess, bubbles, and the belief that good times would continue. They never do forever, a lesson learned best in hindsight. In 1929, the US economy was a house of cards, eventual collapse inevitable, the same scenario true today – years of easy money as bad or worse than the 20s. What’s likely after an 1,841 Friday and Monday selloff, a 7.5% drop? The fullness of time will tell. The break in momentum trading may be short-term like earlier or signal the onset of a bear market, perhaps a major one, given extraordinary gains since early 2009. The S&P 500, Nasdaq and world markets followed the Dow’s decline. Markets don’t move up and down uninterrupted by counter-moves. During the late 2007 – early 2009 bear market, equities recovered much of their losses before hitting new lows – so-called dead cat bounces. If a new bear market began last week, accelerating on Monday, expect sharp upswings along the way before a bottom is reached. Bull and bear markets take time to unfold. They don’t happen overnight. 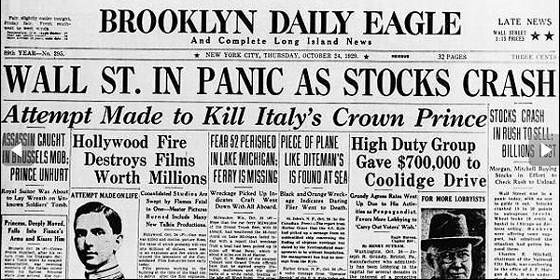 In October 1929 after the crash, no one knew for sure what would follow. Sharp upswings confused things. The same scenario is likely ahead. Negative market action so far alone isn’t indicative of what’s likely to follow. If a long overdue bear market hasn’t begun, it’s surely coming when large investors cash in because of dangerous overvaluations, leaving ordinary people with modest holdings to take the fall.